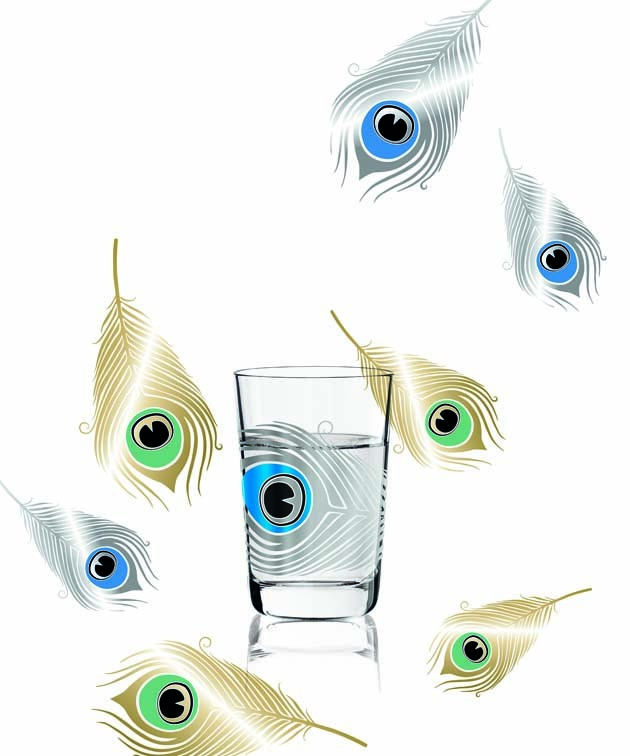 With an elegant and luxurious peacock feather, the Peacock glass celebrates the Next N25Y project. 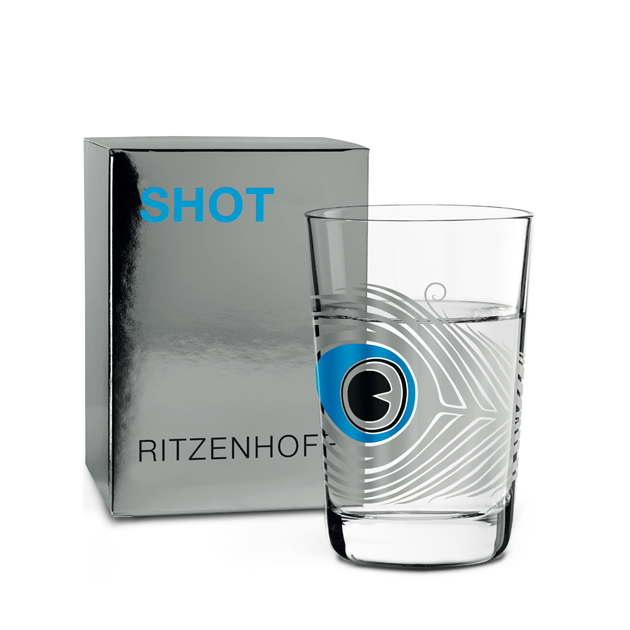 For its anniversary, Ritzenhoff takes up from the success story of the milk glass and presents seven glass collections created by sieger design, presenting the decors of an impressing range of internationally renowned designers. The story starts anew. Whether the term "short", "shooter" or "shot" is used, they all mean the same: a spirit containing between approx. 15 to 40% alcohol by volume and downed in one. Shots, in the form of liqueur, fruit and grain brandies, are an integral part of global drinking culture; while they are mostly enjoyed as an aperitif or digestif, many are also served as small cocktails. Una elegante e lussuosa piuma di pavone, il bicchiere Peacock celebra così il progetto Next N25Y. Dopo 25 anni, Ritzenhoff festeggia il progetto dell’iconico bicchiere di latte presentando una nuova collezione di bicchieri (da birra, gin tonic, champus, whisky, shot etc.) disegnata da sieger design e decorata da creativi di fama internazionale.